The Spring 2019 Pesticide Safety School schedule is now available for registrants who are seeking initial licensing in one or more pesticide subcategories. Register today to attend the April 24-25 Pesticide Safety School held in Manteo, NC, which will include the opportunity to be licensed in the areas of Ornamental & Turf Pest Control and Public Health Control. 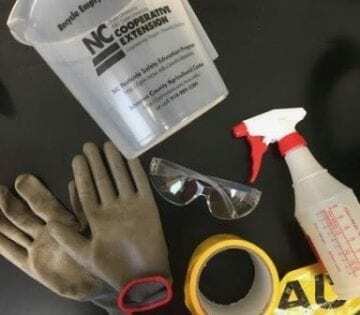 Please visit the North Carolina Department of Agriculture & Consumer Services’ Pesticide Safety Information page at the link provided below to register, order manuals, and learn more about licensing. To register, either print out a form to be mailed in with your payment or register online. To prepare for the class and exams more thoroughly, participants are encouraged to pre-order their pesticide manuals and review them in advance. Please allow at least one week for manuals to arrive. Register online today! For questions about licensing please contact the North Carolina Department of Agriculture & Consumer Services’ Pesticide Section at (919)733-3556 to confirm what licensing category is needed.